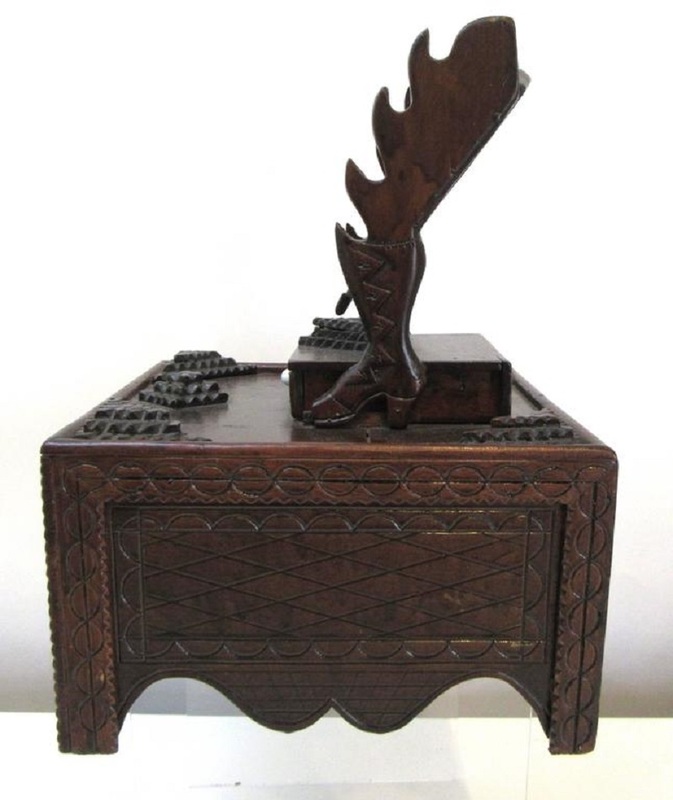 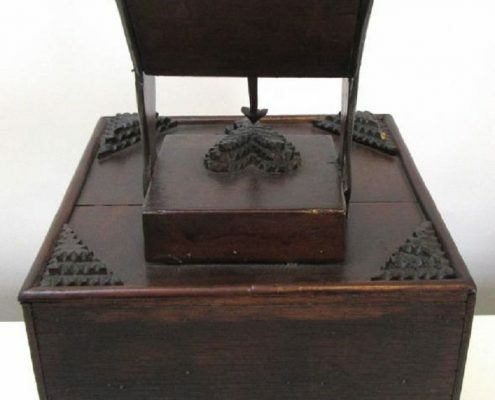 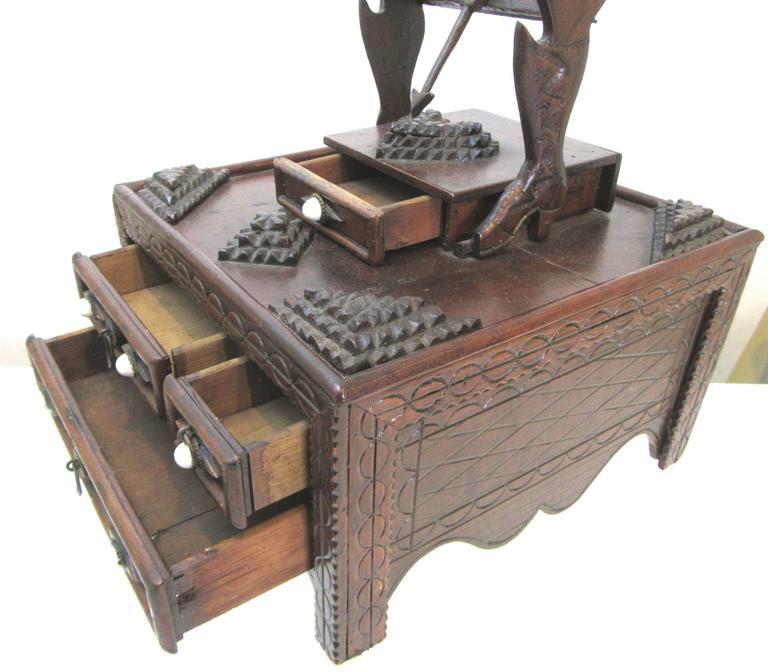 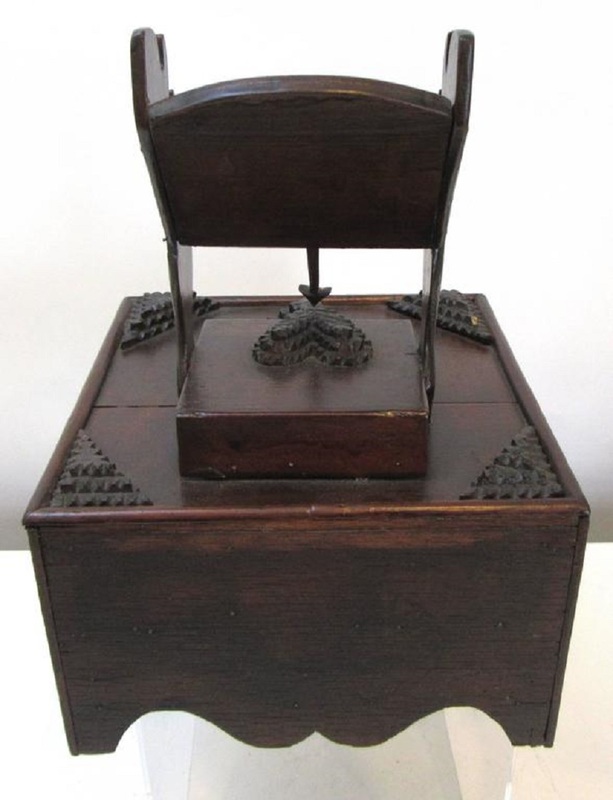 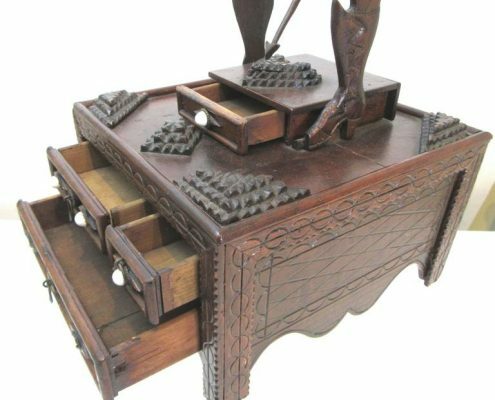 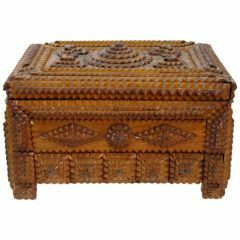 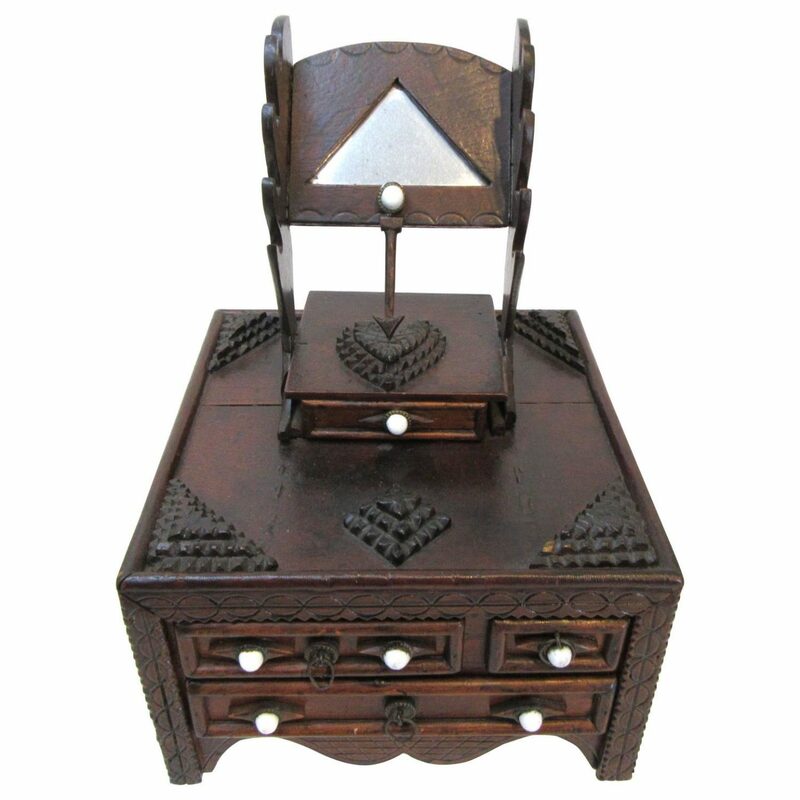 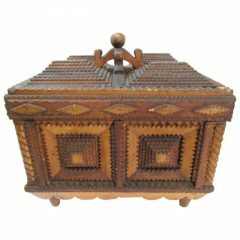 An especially sweet four-drawer hand-carved “tramp art” box. 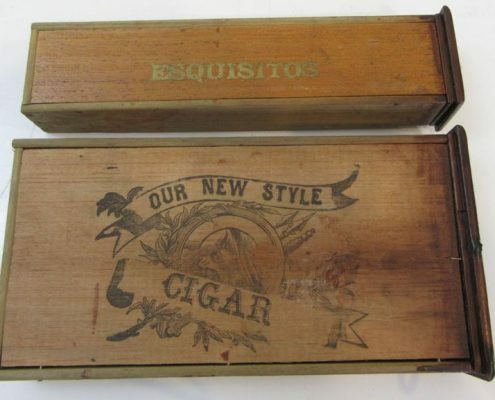 The top is decorated with a symbolic heart and arrow, a common design element in Tramp Art. 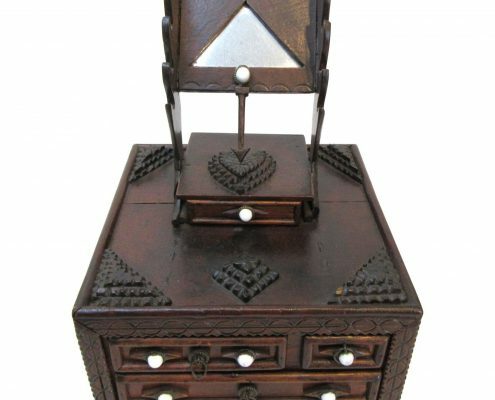 The drawers are embellished with porcelain knobs. 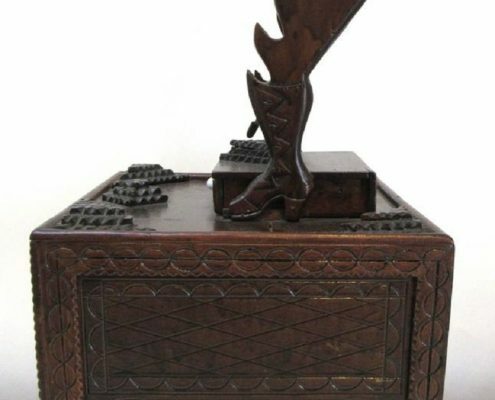 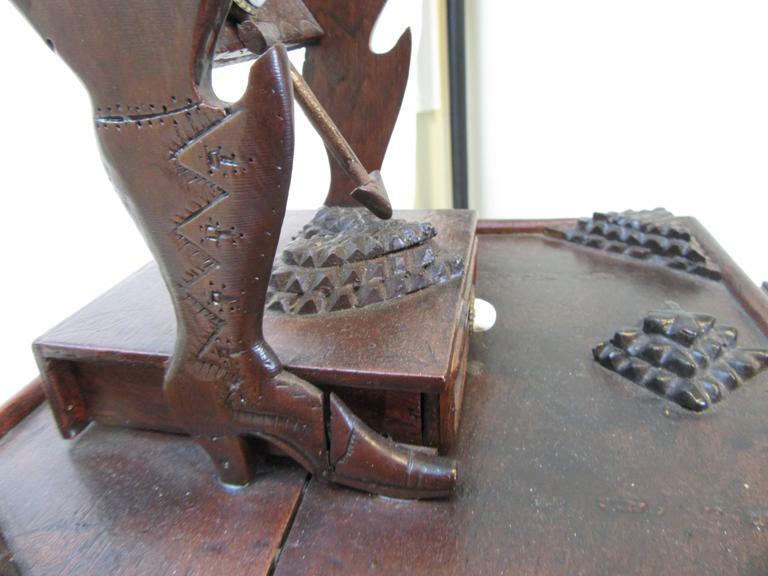 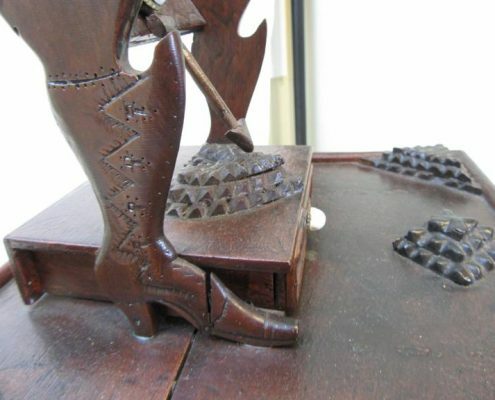 Carved ladies boots are legs to the mirrored stand. 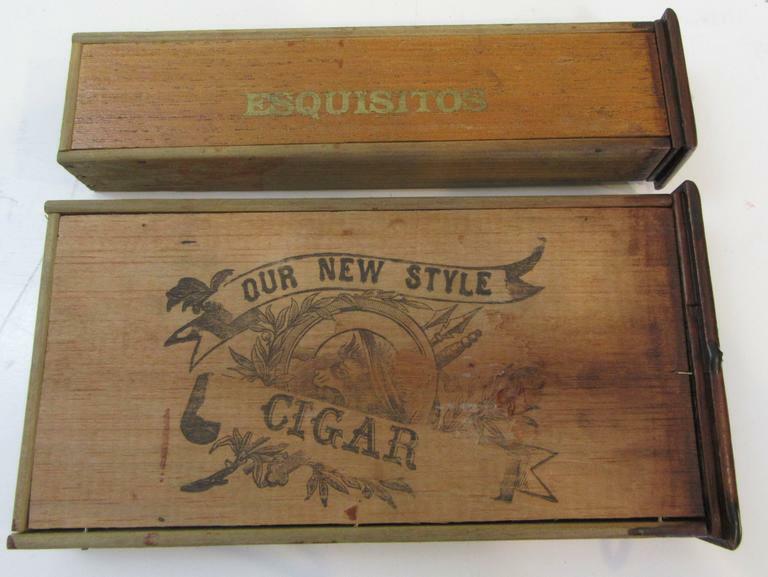 The bottom of two of the drawers reveals the markings of the cigar boxes used to create this lovely chest.